TL;DR: What automation at the UI level does and doesn’t give you. UPDATE: I originally wrote this back in March 2015, lost it in my drafts and found it again recently so thought I get it out there. Don’t agree then let me know in the comments. Every time I speak with different teams and organisations a theme constantly comes up, UI automation and how it’s going to solve all their problems. The thinking goes that if we can automate more of our tests – read test scripts – then the Testers no longer have to check that item anymore. This then frees them up to do more interesting things like exploratory testing or that the Tester can be done away with altogether. There is also a notion that automating all the regression checks will drop the regression test cycle from days to hours. This then supposable allows the team to move faster and release quicker then before. What everyone seems to miss is that Automated checks are generally built to check one thing and will tell you if that thing is still there or behaving as the script has been programmed to tell you. If anything else happens that wasn’t programmed into the check then it fails or stops dead, relaying on someone having to then go look and see what went wrong. A Tester on the other hand can look for workarounds, workout what may have caused the issue or go find other issues based on the information they’ve just learned. It’s looks like a simple question and most people (including myself in the past) would be able to give you a list of answers but what we forget to question is by automating this check what does it tell me when it passes or fails? If it passes does that now mean I no longer have to check that feature or scenario again? If it fails what does that tell me? That I have to check that scenario manually? When a check fails what do we expect the team to do? Stop everything and investigate the issue? Carry on as normal and hope someone else will check it? Ignore the issue altogether? Who is responsible for checking the issue? Developers, Testers, dedicated automation engineers? The reason for regression testing is to see if the changes you’ve made to your code base haven’t broken anything existing. What does an Automated Check actually do? A simple automated scenario could be when the home page is loaded and I’ve selected an option then I expect to see items X, Y and Z. Then check that the expected items are on screen. All of the above could also be scripted into the check but would likely take quite a bit of effort and you can’t always predict how an app will behave and therefore not be able to script for it. Where a Tester can’t match an automated check (or will find very hard to) is checking the same thing in the same way consistently and quickly. As long as they are no physical moving parts an automated check can normally carry out the scenario above in seconds only being delayed by waiting for things to install or load. So should we stop automating our checks? It sounds like a simple question but as I explained earlier people tend to have differing views on what the automation is actually going to do for them. By talking about why they want to automate they are more likely to come up with solutions that will actually address the problems. The apps core feature, the one thing it is designed to do actually works for your users e.g. To do this manually, every time a build is made, could take some time but not only that is very tedious and from my experience just doesn’t happen. What tends to happen in this scenario is that developers will wait and see what comes back when Testers finally do test the app. This could be some time from when the change was made and the Testers finally being able to test it. The longer this feedback loop is the hard it is to fix due to the overhead in understanding what went wrong and what changed to cause the issue. This is exacerbated when working with legacy code especially when not written by the developer making that change. 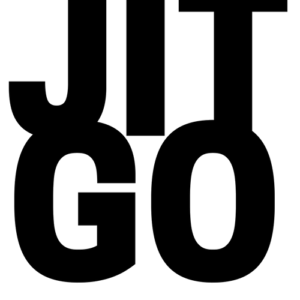 By automating just the core journey the development team know very quickly that whatever was last committed hasn’t caused a catastrophic failure and that the apps core feature is still functioning. If there is a failure then you can back out the change (or ideally fix it) and get back to a working state. This helps the whole team know that the app works and improves the team overall confidence that if I install this app it’s actually going to be worth their time. There is nothing more frustrating especially in mobile development to get a build, find the device you want to test on and install it only to find it can’t carry out it’s main job for the user or worse crashes on start. When things fail so easily and obviously it does nothing to instil confidence in the development team more so when your key stakeholders find the issues. This also allows you to start using your Testers for what they a really good at testing and not just checking your developers work. 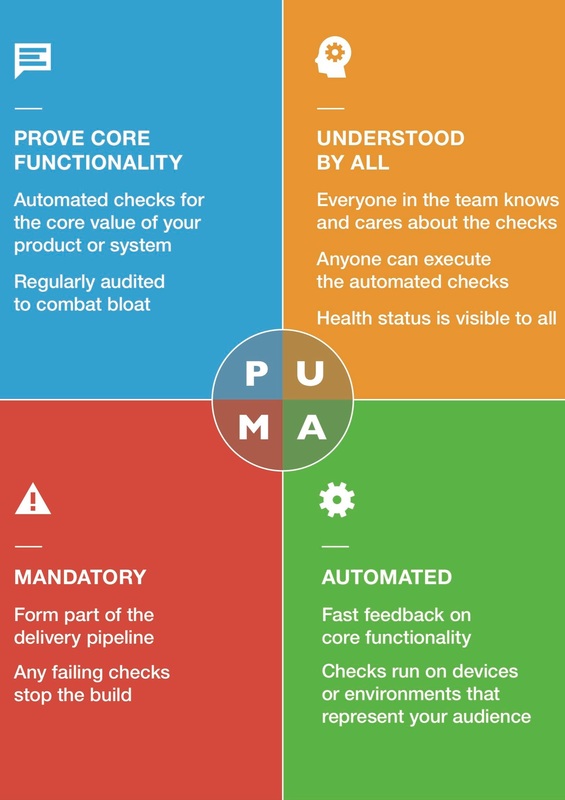 We use the concept of PUMA to decide what our core journeys are and ultimately what we should and shouldn’t automate. A generally rule of thumb is if it’s not a core journey then can it be covered by a unit/integration test not invoking the UI. If it still can’t then why would automating it help? Who would do it? How often does it need to run and how quickly do we need feedback that it’s broken? Could we monitor the app stats to check if is still working rather then automating it? If it does break how bad would your users be affected/perception be? Could it be controlled by a feature toggle that allows it to be switched off in the live environment? So the next time someone asks why don’t you just automate your testing ask them “Why are we automating?” You might realise that the problem they perceive can easily be addressed by one simple automated check rather then 100’s of automated UI checks. The Do’s and Don’ts of Mobile UI Automation How to break the rules?